H2-Pro services Doncaster area 24 hours and 7 days a week. Call us now! Instead, call your local Doncaster Plumber! Licensed, ensured, and professional plumbers can usually fix common plumbing concerns quickly without too much hassle, and most importantly, safely. Do you need a Doncaster plumber? Then H2-Pro will provide its plumbing services to you! Have you heard about the new sewer connection in Melbourne’s northeast? Currently, homes in Doncaster are not required to connect to this new system, however it does affect some immediate surrounding suburbs. Yarra Valley Water’s Sewerage Project is designed to protect public health, improve the health of our waterways, and create a better environment for locals. 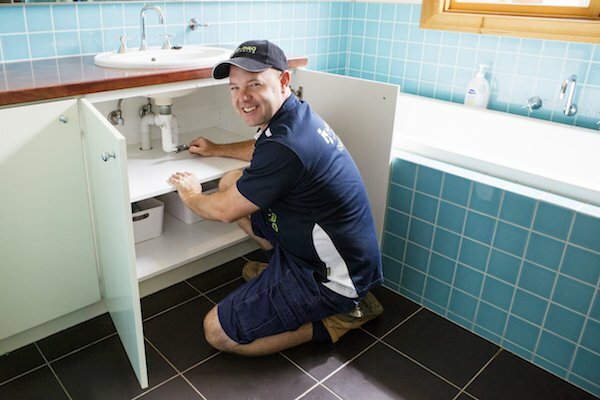 To connect, you’ll need a local qualified plumber – you can’t go past the team at H2-Pro. Call us now on 9844 1444 for any advice regarding the new system or fill in this contact form if you would like to get in touch. Do you need quick solutions for your unexpected plumbing crisis? For emergency plumbing in Doncaster, you can’t go past H2-Pro. Our team is available 24/7, 365 days a year. We’ll deal with your plumbing disaster quickly, affordably, and above all, safely. For plumbing assistance in emergencies, call H2-Pro: 9844 1444. No, they’re not in need of an exorcism. A shrill noise when you turn on taps might indicate air in the pipes. Especially common in toilet pipes, this might indicate a blockage or obstruction is lurking in your pipes. This is a common sign that tree roots are obstructing normal water flow. It should be inspected as soon as possible. The service we provide is key to running a successful business, so when you call H2-Pro, know that you’re calling a family-run business committed to providing each and every one of its customers with exceptional service. No job is too big or too small for our team, and we never rush through a job. We go above and beyond to take care of your property, ensure the safety of your family, and get your plumbing problems resolved, repaired, or replaced. We also charge by the job, not the hour, offering you competitive and fair pricing. When you sign up with the H2-Pro family, you’ll automatically receive a 10% discount for every plumbing job – for life! Sign up here. Distance from H2 Pro? Need a plumber in Doncaster? Our head office is in Warrandyte, so we’re not far away.